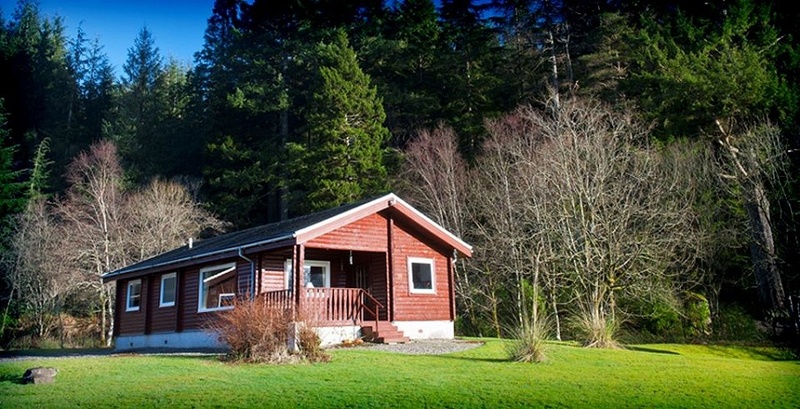 Feòrag Lodge is a privately owned lodge located in acres of the Argyll Forest Park. It provides comfortable accommodation on the outskirts of Dunoon. Feòrag Lodge is a perfect bolthole. Whether for an adventure based family holiday, a romantic hideaway, a wildlife watching break or as a comfortable and convenient base for touring the beautiful Cowal Peninsula, the beauties of West Argyll or further afield. One of the small collection known as Lamont Lodges, Feòrag Lodge is located on the Western edge of the Loch Lomond and Trossachs National Park within the Argyll Forest Park. It is less than a mile’s walk to the celebrated Benmore Botanic Garden with its towering Douglas Fir, giant Redwoods and miles of walks and trails. The lodge lies at the edge of mountain forest and Puck’s Glen where 6 miles of trails offer spectacular views. For the more ambitious walker, there is a huge variety of options from walking the high tops, to long coastal sorties with the enchantment of deep glens between. Probably Scotland’s most beautiful freshwater glacial loch, Loch Eck, lies a mile away. The coasts of the Firth of Clyde and Loch Fyne are 15 minutes distant. Fishing, golf, mountain biking, bird/wildlife watching, sailing and photography, are all popular activities. Glasgow (c. 1hr 30m), Edinburgh (c. 2hr 30m) with their cultural, historic and retail attractions are an easy day trip using Western Ferries from Hunter’s Quay (4 miles) to Gourock, from where you are soon on the M8. The beautiful Georgian town of Inverary is c. 45 mins distant on the west side of Loch Fyne and offers Inverary Castle, the home of the Dukes of Argyll. The Trossachs and the glories of Perthshire and Stirlingshire are roughly 2 hours distant while the local main town with a wide array of shops, Dunoon, is 15 minutes (6 or so miles) away. Dunoon has an excellent swimming pool and fitness centre and is the home of Cowal Golf Club, an excellent course designed by Braid in 1891. Dunoon is also the site of the world’s largest annual Highland Gathering, the Cowal Games, which takes place over the last weekend in August. Less than a mile from the lodge is Cot House services which offers one of the best priced little supermarkets around.